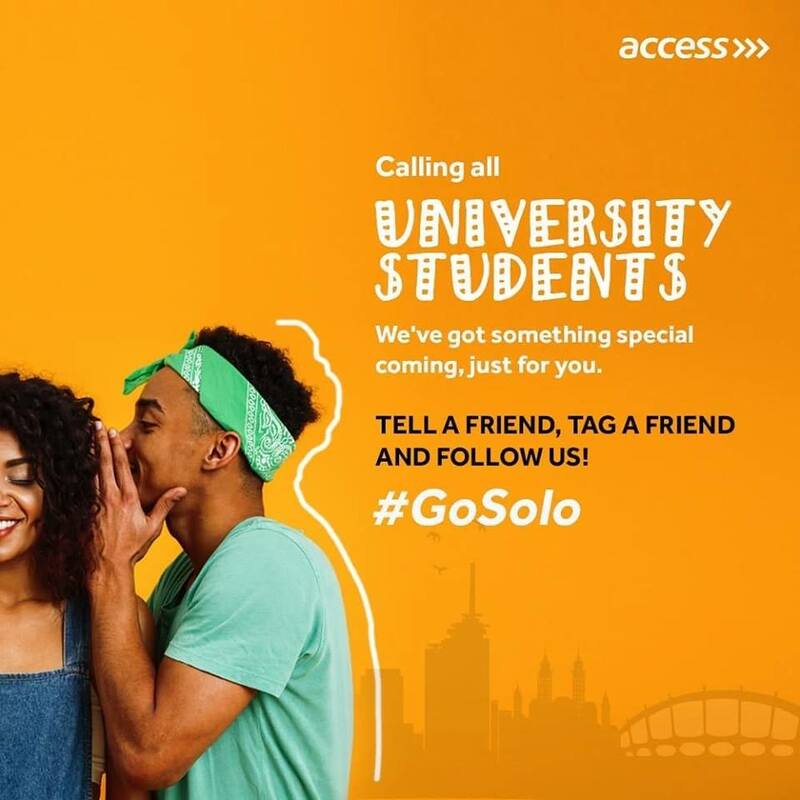 Win Free Pocket Money For a Semester in Access Bank #GoSolo Giveaway!!! Are you an undergraduate in a Nigerian University? Someone is about to win pocket money for a whole semester! *Simply tell us your NAME, FACULTY, LEVEL, your Favourite COURSE in school and why. *You could be on your way to winning.